Optimus Vega in 4 season or “the-kids-are-waiting”-mode. The Optimus Vega stove weighs 228 g and measures 130 x 70 x 65 mm when packed. The stove’s control and the burner itself are connected by a pipe so the gas and the stove can be placed separately which makes it very sturdy. In addition the stove is able to hold even big 3l pots in place. The special feature of the Optimus Vega is, that the gas bottle can be used upside down which will burn liquid gas instead of vapor gas. For this there are 2 little legs on the stove’s control to stand stable up-side-down. This allows to boil water even if in high altitude where other stoves find their limits. The stove has 1400 W power in efficiency mode and more than doubles in 4 season mode (3700 W). In addition, this feature can be as well used to boil water faster when the kids are very hungry or after a long hiking day. But be aware of the high usage of gas! Given that it is hard to compare how long one gas bottle lasts for each individual person I skip this and focus on the drawbacks. The Optimus Vega has two problems in my opinion. First and foremost it lacks a Piezo ignition. Thus you have to bring matches or a lighter with you. Otherwise you can’t use the stove. Generally one has at least one of those with you, but what if the lighter gets lost and the matches are wet? It didn’t happen to me yet but the 10 grams for a Piezo ignition would have been a splendid investment. 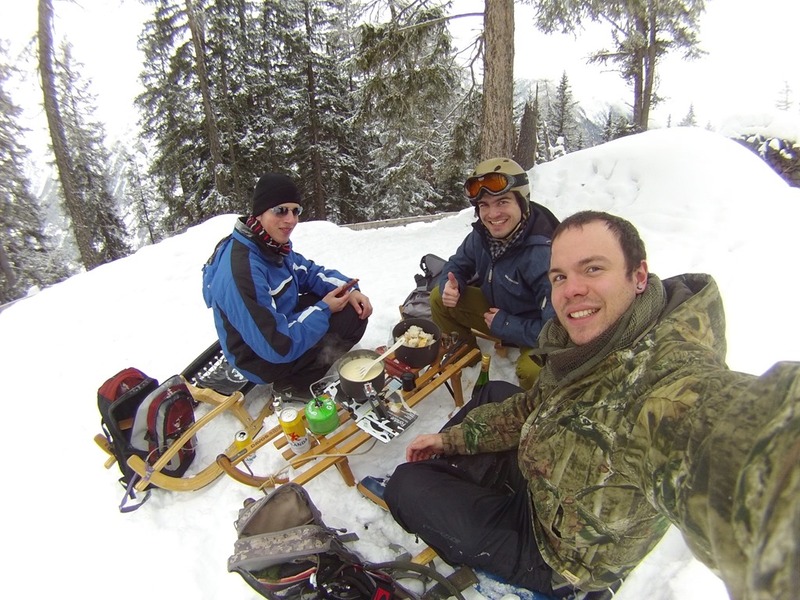 Making a Swiss cheese ‘Fondue’ with the Optimus Vega in high altitude on a sledging slope. All in all I’m happy with the Optimus Vega and it allowed me to enjoy a lot of adventures such as Fondue on the sledging slope in high altitude which I wasn’t able to do with another stove. Nevertheless, the Optimus Vega has some minor drawbacks which I can live with or probably will fix myself by adding a Piezo ignition by myself.